Download and hear original music & audio from the world's largest community of musicians, bands, producers and audio creators of all types. MusicCloud Free Music is a full-featured and easy to use SoundCloud app for Windows Mobile. ✓ Download your favorite music, and play it locally on your phone. 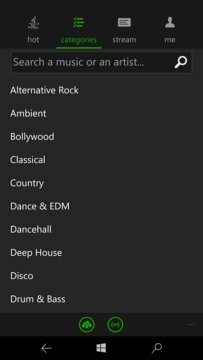 ✓ Browse trending tracks by genre or check out the 'Trending Music' and 'Trending Audio' feeds. 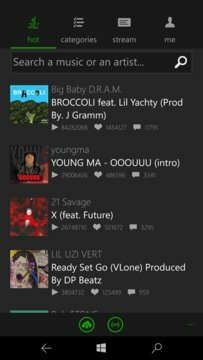 ✓ Follow people, comment on songs, share them with your friends and be social! ✓ Like, share, comment and repost your favorite sounds.